The individual staff report is meant to shed light on per agent performance across a specific channel and time frame. Let's take a look at the metrics available at your disposal. The summary metrics section gives you an at-a-glance view at how a specific staff is performing given a certain time frame. The two main metrics here are "Responses" and "Avg Response Time". 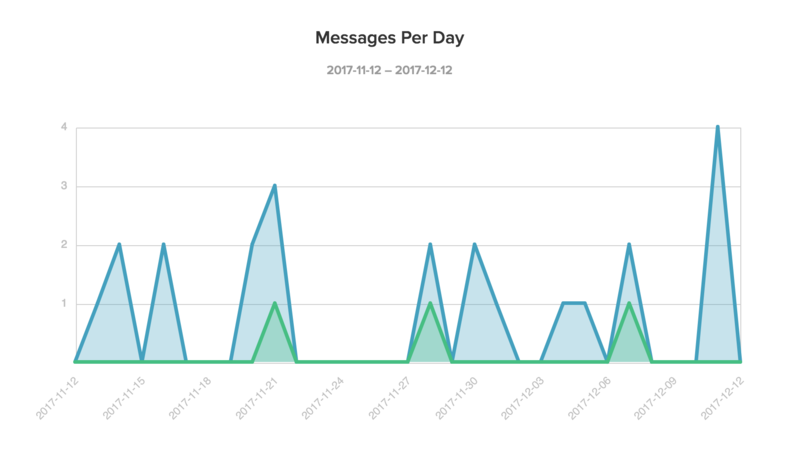 These metrics are based on messages and not conversations. If you see 23 Responses, that means the staff responded to 23 messages in the time frame. You can also extrapolate these metrics to "This Month", "Last Month", "This Week", and "Last Week". 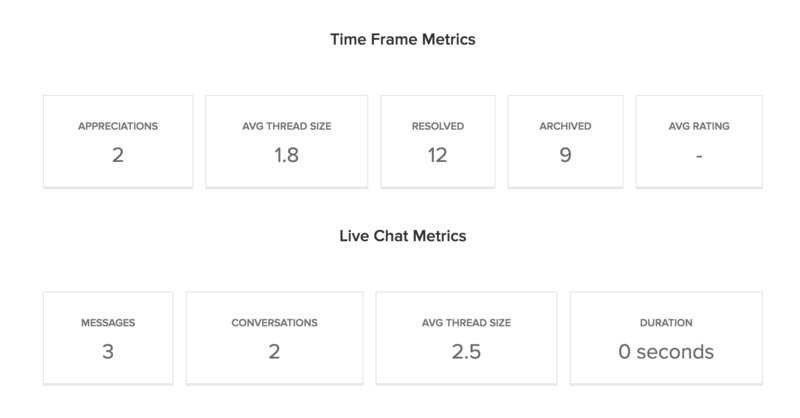 Time frame metrics show you metrics based on conversations rather than messages, unlike the summary metrics. For example, how many appreciations you received, how many conversations you resolved, how many you archived, and what your average thread size was averaged across all conversations. If your account is using customer satisfaction surveys, the staff's average rating will also be displayed here. 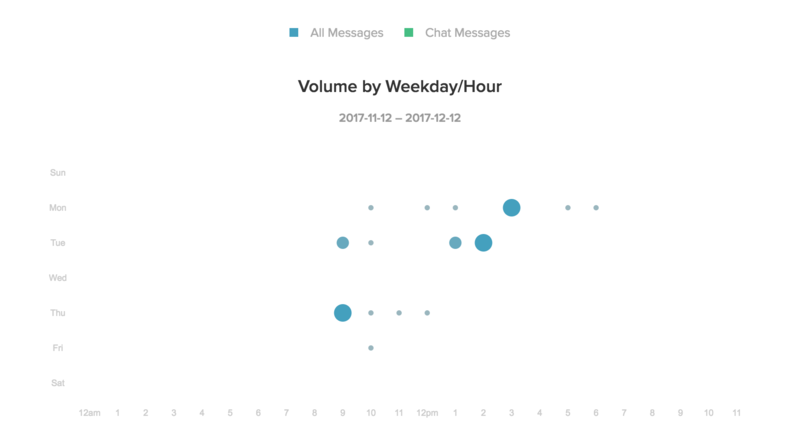 This graph shows you a trend of how active the staff member is by measuring the number of messages he or she is delivering across a certain time frame broken down by individual days. The volume trend also gives you a good idea for when the staff member is most busy. Toward the bottom of the individual staff report are satisfaction ratings for the unique staff member and a running list of recent replies sent by the staff member. Managers can use this individual staff report to monitor support quality.